Obituary for Mrs. Bernice “Bunny” Lassiter | C. C. Carter Funeral Home, Inc. It is with great sadness that the family of Mrs. Bernice C. (Bunny) Lassiter announce her passing on Friday, August 10, 2018. Silently in her sleep at home. Bernice was a business owner for over 20 years in Newport News/ Hampton area. Sole proprietor of “Bunny Silk Flower’s” she designs and sold floral arrangements from the East coast to West coast. She is survived by her husband Sidney H. Lassiter of 63 1/2 years. Five children Wanda (Claude) Hewlin, Sidney (Renee) Lassiter Jr., Sharon (Olanda) Tunstall, James (Deborah) Lassiter and Beverly Lassiter-Seldon. She leaves a host of grandchildren, grant- grandchildren, nephews and nieces. It is the desire of the Lassiter family that you keep them in your thoughts and prayers. 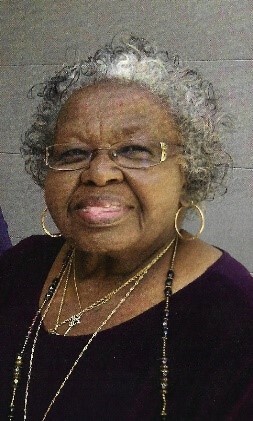 The family of the late Mrs. Bernice Lassiter has entrusted her final care to the staff of C.C.Carter Funeral Home, Inc.